We are constantly scouring the world for artefacts to extend the collection. 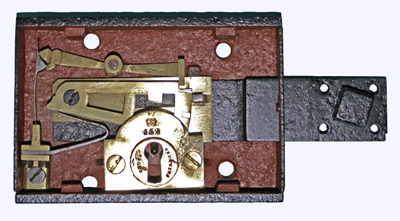 Yale 56 hour pindial time lock. 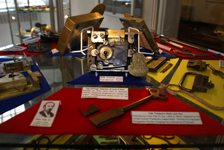 The History and Development of the Lock and Key. Archaeology is gaining in popularity. TV programs and films, like, on the one hand Time Team and on the other Indiana Jones have done much to capture the imagination and inspire. In the field of Industrial Archaeology or Industrial History, Locks and Keys are no less worthy of attention. 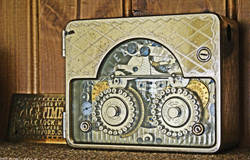 In fact its sometimes said that the craft of the locksmith is the second oldest profession! Certainly mans possessions have always been coveted and therefore the need to keep them secure has been a necessity from the earliest times. Of course there are also interesting stories surrounding some artefacts in the collection. Like any custodian of a collection of artefacts we to research into their use and background. Take for instance the Boda-Panza lock and its association with Von Ribbontrop, Hitlers foreign minister, just before WWII. Or the relationship of King George III and George Davis of Windsor, who was locksmith in ordinary to His Majesty. 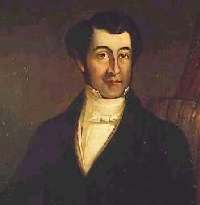 Davis, in 1799, invented and patented a unique style of lock, which was also beautifully engraved with a warning not to make duplicate keys. Sensitive government secrets always demanded, then as today, locks that were state of the art. Davis locks ended up on government dispatch boxes of the time. 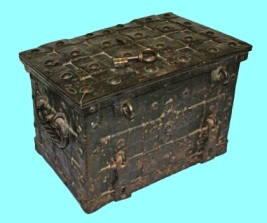 Our research takes us on many adventures in search of treasure, not so much the contents of strongboxes and safes, but those actual objects of the locksmiths craft of past ages is the "treasure" we actively seek out, and this also very often extends both the collection and our knowledge. These fascinating aspects are what these virtual History of Locks Museum pages are all about and will hopefully bring some of the mysterious objects of the locksmiths' art and craft alive. To this end the project not only attempts to gather and display the beautiful and ingenious items of metalwork but also books, manuscripts, catalogues, and other printed matter on the subject. We all know the analogy of a grain of sand doesn't make a beach... but hopefully with enough snippets of information a more complete picture can be built, understood and enjoyed. We especially acknowledge and are grateful to the many individuals that have helped and contributed. Please feel free to make contact via the e-mail links provided with enquiries. Alternatively you are welcome to view, join and take part in The History of Locks Forum if you would like to add, correct or comment in any way. Additionally many of the links here will take you to more information within this site or may take you to the HoL Forum Library, where you can view / download relevant documents such as patent specifications, instruction manuals etc. If you have not yet registered for free Forum access request a password at the prompt. Registration is quick, simple and free. In the mean time its hoped you enjoy browsing our Galleries. A note about copyright. This project represents considerable time and effort, please therefore respect our work. Permission is given to download for personal, non-commercial use only - no permission is given for private or commercial use of either the text or pictures including republication. If you like what you see here then do please link to our site. Founder of the Chubb firm. Patentee of a locking principal that didn't rely on fixed wards or complicated shapes. Author of "The Locksmiths Bible" . We are preparing the collection for a UK tour commencing spring 2010. Watch this space for confirmed public venues or contact us if you would like a 'Hosting Details' information pack. 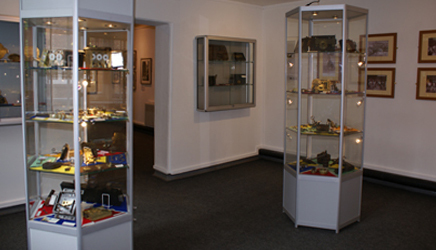 Venues to include, Museums and Galleries, Corporate Receptions and Tourist Centres. 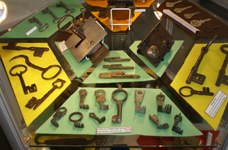 Amongst the items on display are Roman keys and lock fragments from the 2nd – 4th century to the sophisticated bankers Vault locks of the Victorian era. Also on display is a recent find – the earliest known surviving example of Chubb’s Detector lock. 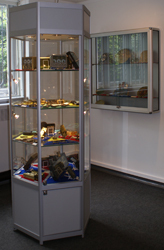 The exhibition runs until the 30th July 2011 and is well worth a visit not just for the sheer diversity of locking devices but also for the social working conditions and practices that can be learnt from the pictures and papers on display. Additionally our curator Brian Morland will be available on Saturday afternoons, for the duration of the exhibition, to further explain the artefacts, to listen to your stories or to identify your items.